Prezentare The group of stories known as The Arabian Nights or The Thousand and One Nights is believed to have originated in the East during the early Middle Ages. The tales first appeared in a Western translation in France in 1704. This selection of favorite Arabian Nights stories, with new illustrations by Thea Kliros, features a multitude of colorful characters -- devious magicians, monstrous giants, lovely princesses, and steadfast suitors -- caught up in exciting adventures that take them to faraway lands. 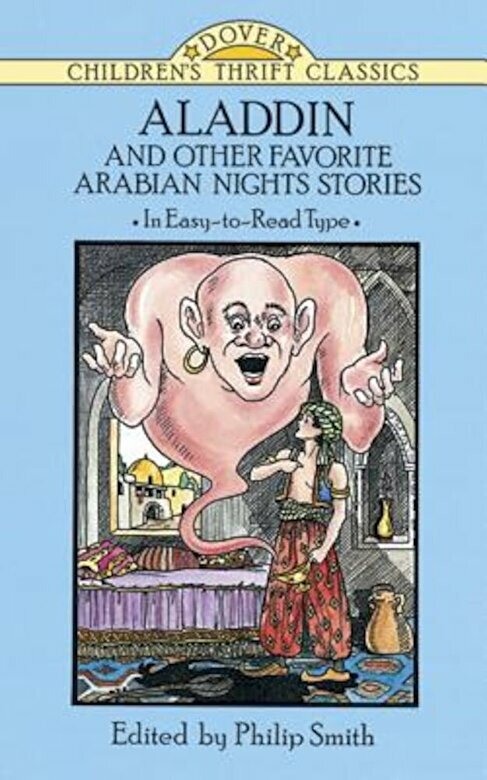 The six classics included here are "Aladdin and the Wonderful Lamp," "Ali Baba and the Forty Thieves," "Abou Hassan, or, The Sleeper Awakened," "The Seven Voyages of Sinbad the Sailor," "Camaralzaman and Badoura," and "The Enchanted Horse." With this book as their guide, children can journey to the enchanted world of the Arabian Nights and enjoy the same time-honored tales that have enthralled readers and listeners for centuries.